Every time you finished editing your video, like adding titles, cutting the extra black bars etc in Final Cut Pro, you may wonder the best way to export the edited videos. For some users, they will export their video to Quicktime. This works well except the fact the the exported video can be very large and only a handful of video formats are supported. This is OK for some users but if you want to play the video on mobile devices or upload to YouTube, a large video in limited formats is never desirable. The preferred way is to size down the exported video to a more common codec for efficient delivery. And Final Cut Pro Compressor is the tool offered by Apple for this task. Compressor for Final Cut Pro is a video and audio media compression and encoding software to be used with Final Cut Pro on Mac. 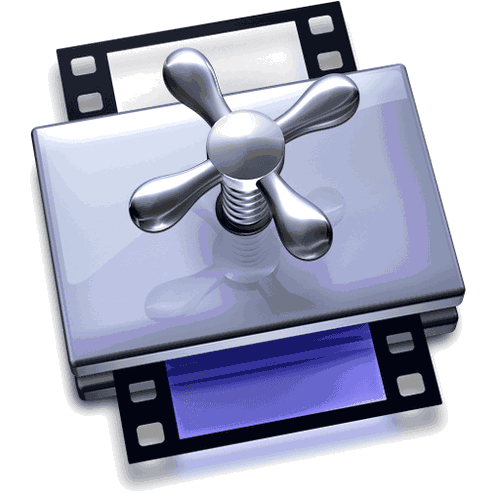 As its name suggests, the main function of FCP compressor is to compress video files to a format with less video size. With a wide range of features, Compressor Final Cut Pro adds power and flexibility for exporting projects from Final Cut Pro. As it's name implies it's primary function is to compress your video so that it takes up less size. The priced $49.99 FCPX compressor only aids you to compress videos with encoding feature, which can't satisfy your needs now and then. The best alternative to FCP compressor MacX Video Converter Pro provides you with 3 ways to effeciently compress videos, video conversion (video encoding feature); video parameter settings adjustment and video editing feature. All these tasks are done with fastest speed (Intel QSV/Nvidia/AMD supported). To be specific, this top video compressor enables you to compress MP4 MKV AVI MOV VOB AVCHD MTS and more to smaller-sized FLV, WMV, etc. 180+ video and 14+ audio formats or directly to iPhone X/8/7/Plus, iPhone 6s/Plus/SE, iPad, Android, Microsoft, Sony, etc. mobile devices. It also lets you reduce video files by lowering video resolution, bit rate, frame rate, etc. and crop the unneeded video parts, trim video duration (start time/end time) to maximumly shrink file size without lossing quality. 2. The Final Cut Pro size reducer will automatically open (if it was not already open) and choose the presents you want for export the video to your desired formats. 4. Click the Submit button in the Batch window and the Final Cut Pro x Compressor will start to transcode the Final Cut Pro projects. Just wait for the batch to finish. The whole video compression process is efficient, but this doesn't mean that you won't encounter any problem when using FCP Compressor to compress videos. Below are some most frequently complained errors of Compressor Final Cut Pro from users. 1. Rather slow process. Send to compressor needs the Final Cut Pro to remain open throughout the whole process as a major part of the job is done within Final Cut Pro rather than Compressor. But this can slow down the editing in FCP while drop the compressing to a stand still. 2. Final Cut Pro video compressing tool not working. In this case, users can get various compressing errors with FCP, like "Can't preview movie, FCP is busy. ", "Compress sticks waiting for processing", "Unable to submit to queue." etc. 3. Wrong output file or poor quality. "I have been using final cut pro x compressor for a few months now but have to say I am unimpressed with the quality of the output. ", "I always get hopelessly confused with Compressor. The GUI is so dated and old fashioned that I can't seem to accomplish what I need.". Sometimes, it's easy to choose the incorrect formats from the different types of Compressor for Final Cut Pro, and that can be a reason for the wrong output file. As for the poor output quality, supposedly nothing can be done. 4. Put aside the above final cut pro compressor kit errors, they are unhappy with Compressor as it is separately priced at $50. Admittedly, Compressor works as a supplement for Final Cut Pro. But also many of its features can be found in Final Cut Pro. Also learn how to compress videos with iMovie, resize videos with Mac Finder. Among the above errors of Compressor for Final Cut Pro, some can be fixed with a simple reboot, while answers to some can be fund in Apple Support. But if you are out of luck to encounter other errors, a lot of time may be taken to figure out the solution. This lead many users to come up with a question: is there a program that can do such job without any hassle? Surely yes, and better yet, here we handpick the best video compress software alternative to FCPX video reducer that integrates the features of both Apple pros into one. 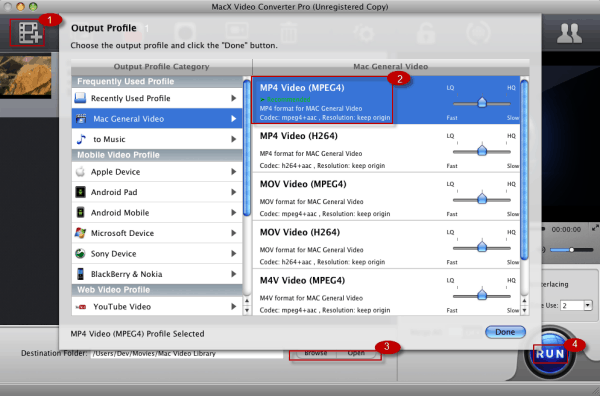 MacX Video Converter Pro, a professional video converter, compressor and editor, allows users to convert videos to MP4 AVI FLV WMV, etc. smaller-sized video formats. Plus, you are also the one to freely apply this FCP compressor alternative's editing feature to crop the unwanted bar or parts of the videos, trim the video length to cut off the needless video clips to compress video file size. Or the parameter settings, incl. Bit rate, frame rate, resolution, etc. are avaliable for you to flexibly control your video file size. Better still, all these missions will cost you only mins or even secs, for the built-in Intel Quick Sync Video/Nvidia/AMD hardware acceleration tech dramatically speed up the video compression speed, up to 5X faster. Step 1: After free downloading this FCP compressor alternative on Mac, launch it and click "Add File" to load the video files you want to edit, or if you have edited in Final Cut Pro, then export the video from FCP. Step 4: Click the "RUN" button and this Compressor Final Cut Pro alternative will start to compress video file size on your Mac (Mojave). The whole compression task will be done with merely mins with no quality loss. Learn to quickly compress MKV with no quality loss. Top MKV compressor programs are shared here to help you shrink large MKV file for YouTube, Vimeo, Email, Facebook, etc. MacX Video Converter Pro is a feature-rich, high quality, and incredibly fast video converter & compressor for Final Cut Pro. It's able to compress videos, convert videos and edit videos to reduce video files size with No.1 fast speed and original quality.